Earlier this month, The Shirley Chisholm Project was proud and excited to host Harriet Smith at the Brooklyn College Library's exhibit, Shirley Chisholm: The Catalyst for Change. Mrs. Smith met Ms. Chisholm in high school and they attended Brooklyn College together in the 1940s. The Chisholm Project is happy to announce Mrs. Smith, Brooklyn College class of 1948, will be interviewed for the Chisholm oral history project by Project Director, Professor Barbara Winslow. Her inclusion to this archive will be added to the 15 interviews already available for you to stream here on our site! This picture was taken at the moment when Mrs. Smith saw herself sitting next to Shirley Chisholm in a photograph of IPOTHIA members, the African American sorority founded by Ms. Chisholm. The exhibit, Shirley Chisholm: The Catalyst for Change ends May 8th but the College Archives has an extensive collection of materials on Ms. Chisholm, please contact them at (718) 951-5346 for more information. 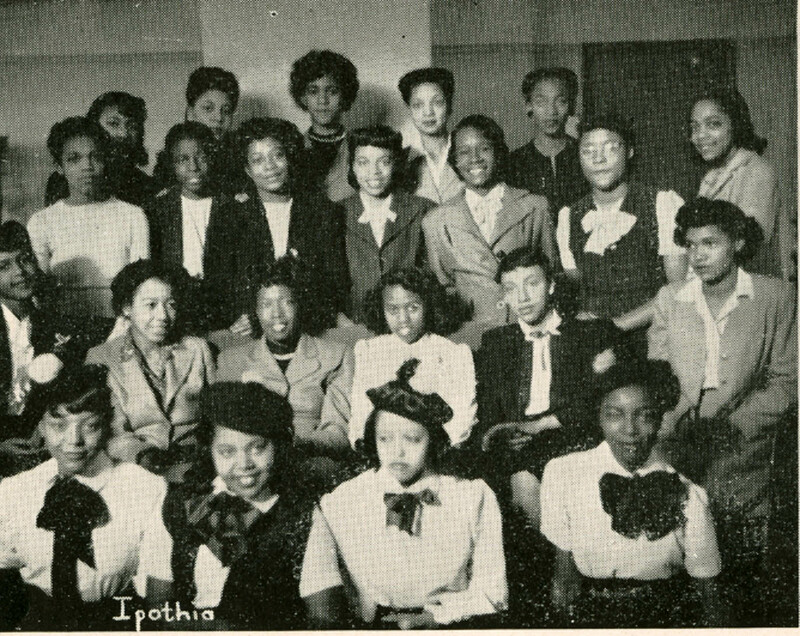 Harriet Smith, third row center, and Shirley Chisholm, third row fifth from left.